The Agape family continues to grow. The latest one to join our family was Alexander, the son of fellow staff members Samuel Pérez and Rebekah Hiney. 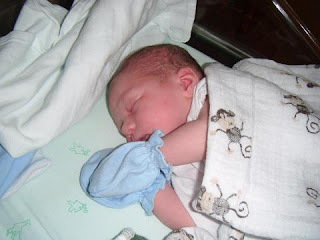 Alexander came into the world on July 8th in Granada at 12:35pm. He weighed 3,64kg (8lbs.) and measured 54cm (21.25 inches) in length. He is blonde like his mommy and they are both at home and doing very well. We send congratulations to the family.